We previously reported the diversity of structure and integration sites of human T-cell leukemia virus type 1 (HTLV-1) provirus among different MT-2 cell lines. This raised the question as to whether cell phenotypes also differed among MT-2 cell lines. The influence of two different MT-2 cell lines (MT-2J and MT-2B) on the growth of the promonocytic leukemia cell line, U937, was investigated. Protein levels and mRNA expression of cytokines were also investigated. In addition, Western blot analysis of HTLV-1 regulatory proteins, Tax and HBZ, was also performed. Culture supernatant from MT-2B, but not MT-2J, cells showed marked suppressive effects on U937 cell growth. MT-2B showed high tumor necrosis factor (TNF)-α, TNF-β, and interferon (IFN)-γ both in protein levels of the culture supernatant and mRNA levels of the cells. Analysis using recombinant cytokines indicated that the suppressive effects of MT-2B were due, at least in part, to high levels of TNF-β and its synergic effects with IFN-γ in the culture supernatant. Protein levels of HTLV-1 Tax and HBZ were higher in MT-2B than those in MT-2J cells. These molecules have been reported to affect the cytokine production of HTLV-1 infected cells; therefore, the difference in these molecules may have accounted for the differences in cytokine production between MT-2J and MT-2B cells. 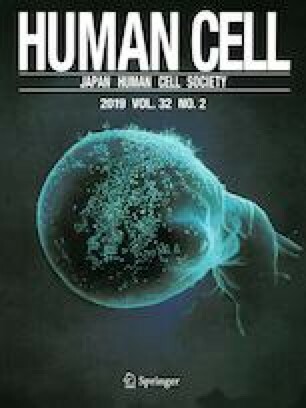 Furthermore, because MT-2 cells showed a large variation of integrated HTLV-1 proviruses as well as cell phenotypes, it is important to exercise caution in the assessment and interpretation of experimental data from MT-2 cells. The online version of this article ( https://doi.org/10.1007/s13577-018-00231-3) contains supplementary material, which is available to authorized users. The authors would like to thank Ms Y. Kaseda (Miyazaki University) for her technical support and Dr Y. Ohkuwa (Miyazaki University) for his instruction concerning the statistical analysis. The authors would like to thank Enago (http://www.enago.jp) for the English language review.